Low Power of just 190nA typ. The RV-8263-C7 is supplied on tape and reel. 1k or 3k pcs per reel are the standard T&R pack sizes for this product. Partial quantities may be supplied on tape (no reel), or in bulk. A highly cost effective all-in-one real time clock solution, the RV-8263-C7 has low current consumption of just 190nA typical and is operable over wide voltage range of 0.9V to 5.5V with time accuracy of ±20ppm @ 25°C. 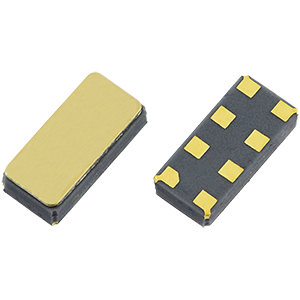 Providing clock output frequencies of 32.768kHz and 1Hz, the RV-8263-C7 also features a miniature surface mount package with tiny 3.2 x 1.5mm footprint, excellent real time clock functionality including alarm setting, timer, I2C interface, and automatic leap year calculation from 2000 to 2099 in addition to standard clock and calendar functionality. 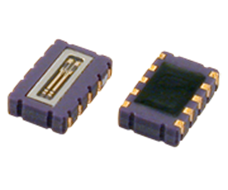 Optionally available with AEC-Q200 qualification the RV-8263-C7 is ideal for automotive applications in addition to other application areas such as IoT, smart metering, health care and wearable projects. In order to align ourselves with industry-standard nomenclature the name of this product has been revised from RV8263C7 to RV-8263-C7. There have been no changes to form, fit or function of the component. You can find more information in our product change notice PCN19032005321 here. To request a quotation for the RV-8263-C7 please use the configurable options form to choose the options you require and then submit your configured product to our team. Our expert advisers are always happy to help with your requirements and can be contacted on +44 1460 256 100 or at sales@golledge.com. The RV-8263-C7 is manufactured by Micro Crystal and stocked and supplied by Golledge.